Oh, will May 21st NEVER come? Though the premiere date of the highly-anticipated third season of cult classic Twin Peaks is just one week away, for die-hard fans of the TV series, the suspense (which has been building since the show went off the air 25 years ago) is excruciating! But for those who have somehow bypassed Twin Peaks, the obsession with the short-lived series may seem a little strange. 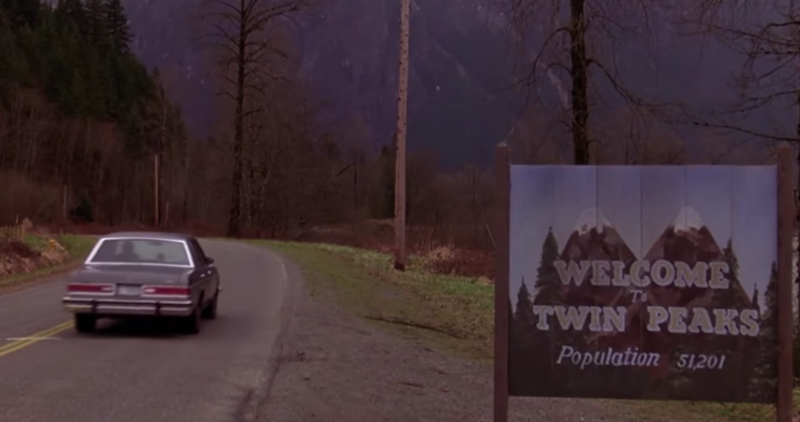 So this week, Showtime teased a new kind of Twin Peaks trailer for frequent visitors and newcomers to the series alike, spotlighting the show’s unique and enduring contribution to the modern TV landscape and reminding lovers of the series what makes the show so damn special. Since announcing the revival’s official premiere date back in January, the particulars of the series’ latest season have been shrouded in mystery — and unfortunately, Showtime’s recently released five-minute featurette did little to lift the fog around the show’s reboot. Neither do we, Coop. BUT! What the mini-doc, entitled The Phenomenon: Part 1, illuminates instead are the ways in which Twin Peaks transformed TV, introducing cinematic storytelling elements to the medium and mixing genres to create a police procedural-soap-opera-surrealist-psycho-sexual stream of consciousness hybrid the likes of which primetime television audiences had never seen before. Created by visionary filmmaker David Lynch and TV veteran Mark Frost, Twin Peaks changed the way we watch television today, turning audiences on to stories with a narrative arc that extends over several seasons, and creating space for more elaborate character development. Audiences tune into Twin Peaks because it’s like watching a movie, and without the series, shows like Breaking Bad, House of Cards, and Mad Men may never have made it to air. Twin Peaks, thank you for being awesome. Now hurry up and premiere season 3 already!